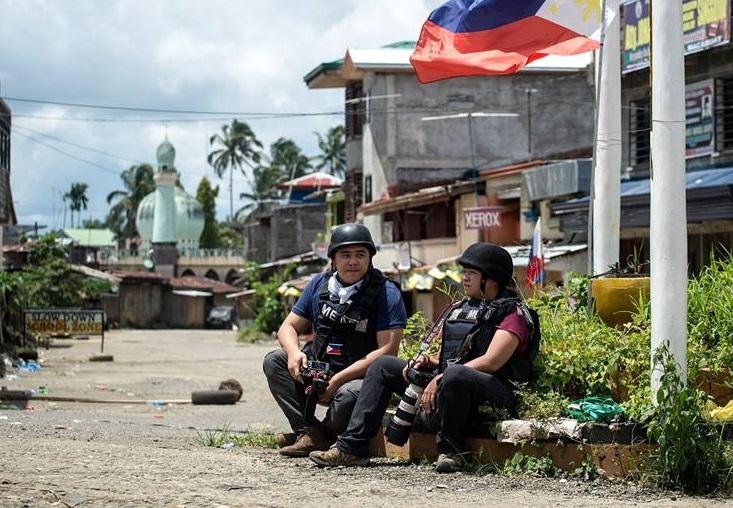 ABS-CBN News reporters Chiara Zambrano and Jeff Canoy will tell the story of the people of Marawi, who are caught in the middle of an armed conflict in a special episode of the award-winning documentary series “Mukha” tomorrow (June 28), 6:30pm on ANC, the ABS-CBN News Channel. Deployed in Marawi to cover the on-going war, Chiara and Jeff were able to talk to the city’s residents, who have lost a sense of safety and security in their very own homes; as well as the uniformed men, who are bravely risking their lives to defend the land. These are the stories of hope of our fellow Filipinos, amid the uncertainty of survival, after more than a month since the attack of the Maute terror group. “Mukha” is a world-class TV production of DocuCentral, the documentary arm of ABS-CBN. It won a Silver Dolphin at the 7th Cannes Corporate Media and TV Awards in 2016 and was a finalist in this year’s New York Festivals. Catch this special episode of “Mukha” on Marawi entitled “Di Ka Pasisiil (Never Will be Conquered)” with narration by Chiara Zambrano and Jeff Canoy tomorrow, Wednesday (June 28), 6:30 p.m. on ANC. It can also be viewed online via iwantv.com.ph and skyondemand.com.ph. For updates on the program, follow @MukhaTV on Twitter and Facebook.